All three are talented artists who ran an exhibition together last year. 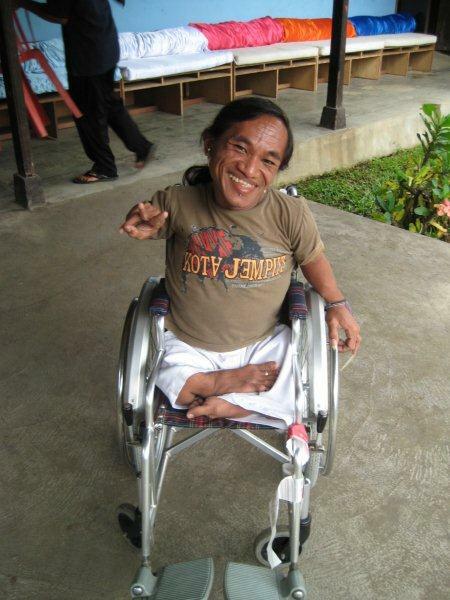 We sent him a special child-sized wheelchair to fit his size. It was just size and he has been so glad to be able to broaden his range of activities, travel around and show his art to the world. We are wishing him a wonderful future!